In complement to her endeavors inside the studio, Alexandra Grant pursues creative projects outside the studio as well (or “hors atelier”). This allows her to create and exchange ideas in the public realm, with a variety of collaborators. The grantLOVE project is an entrepreneurial and philanthropic project where editions are sold and proceeds donated to art projects and non-profits. The most celebrated project funded through the sale of Grant’s LOVE jewelry and artworks is the Love House Project in Watts, CA. Taking Lena Home (2015) is a documentary that takes place in Polk County, Nebraska, where Grant returned a stolen tombstone in 2010. 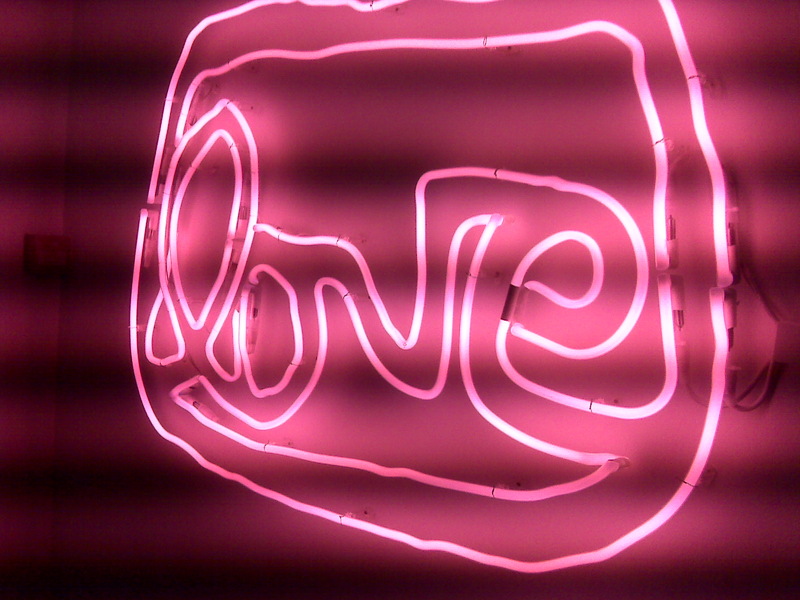 Image: Love neon, 2009, as installed in the Colette store in Paris.